I Love Cloth Dolls and Cloth Crafts. 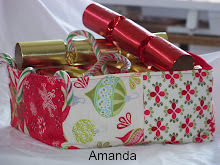 : FREE Tote Bag Tutorial...Give It A Go. 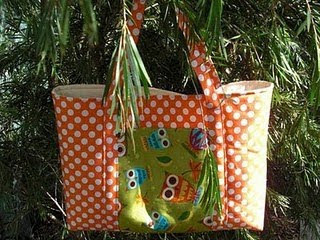 Well the very lovely Khris of "Sew Prim Khris" has made a tutorial for a tote bag. "This tote bag is done slightly different to the standard tote where you make the outer bag and then the lining and pop one inside the other. You actually sew one lining to one outer fabric and then sew them all together after putting on pockets and handles". Click on the image and it will take you to her page where you can download the PDF tutorial. let her know if you make it and maybe even send her some pictures of your bag once made. Thanks heaps Khris for making this tutorial for us and for sharing it for FREE. Don't you just love it when people in the wider crafting community SHARE their many talents...but isn't it a very sad thing that sometimes there are people out there who take advantage of the generosity of talented people. it has has come to my attention recently that there is a site selling patterns for various dolls etc and claiming them as their own. there is no mistake as it is blatantly obvious they are rip offs from not a few but very many talented people. Some of the copyright breaches are including patterns put out by major pattern companies. All I can say is if you find something on the net or you buy a pattern, Respect the talented person who created the design by acknowledging them as the creator of the pattern.